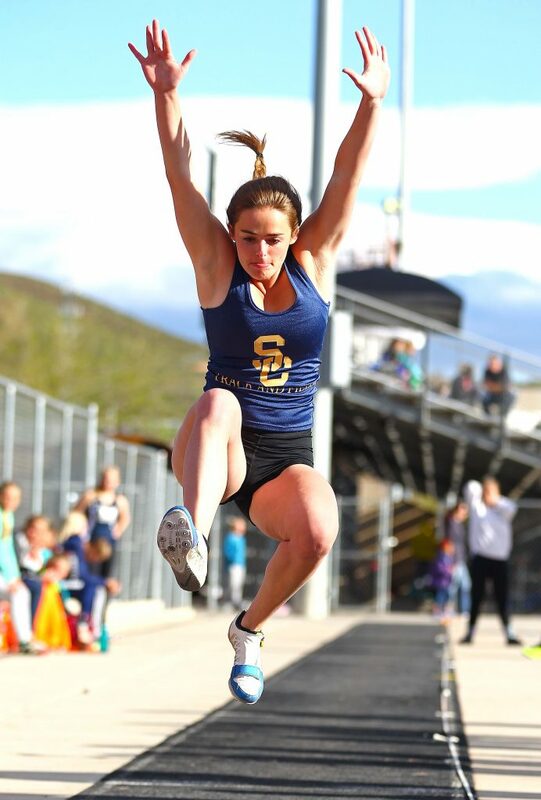 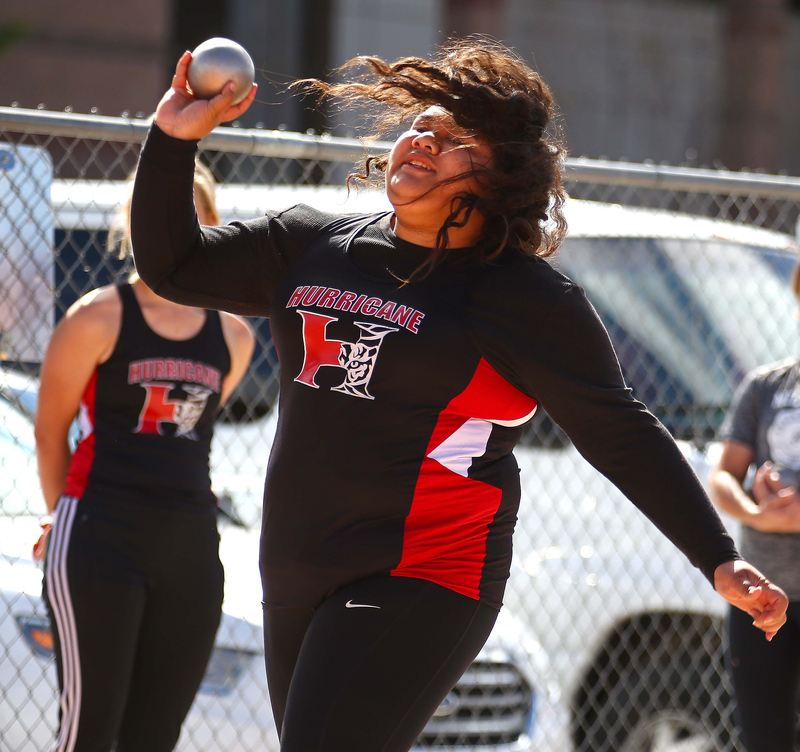 HURRICANE – With region track just a month away and the state meet at BYU in six weeks, athletes from around the state eyed state qualifying and personal record times Saturday at track meets in Hurricane and Orem. 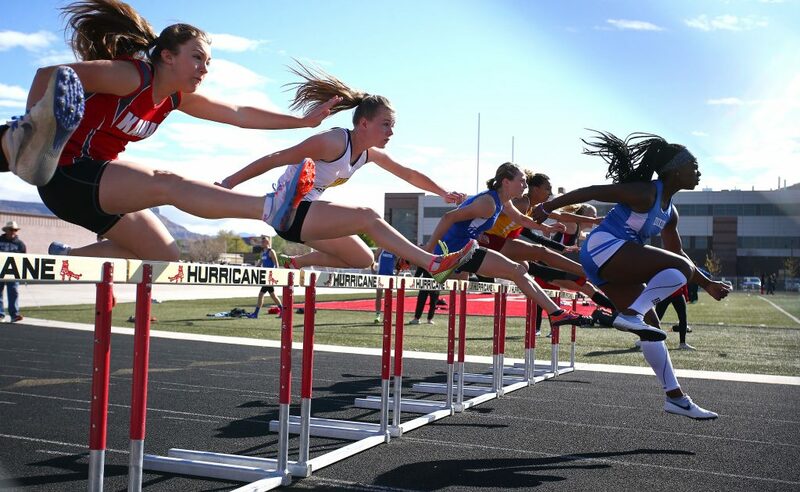 The Hurricane Tigers hosted the Hurricane Valley Rotary Invitational at Tigers Stadium, with athletes from 19 schools competing, including all six Region 9 teams. 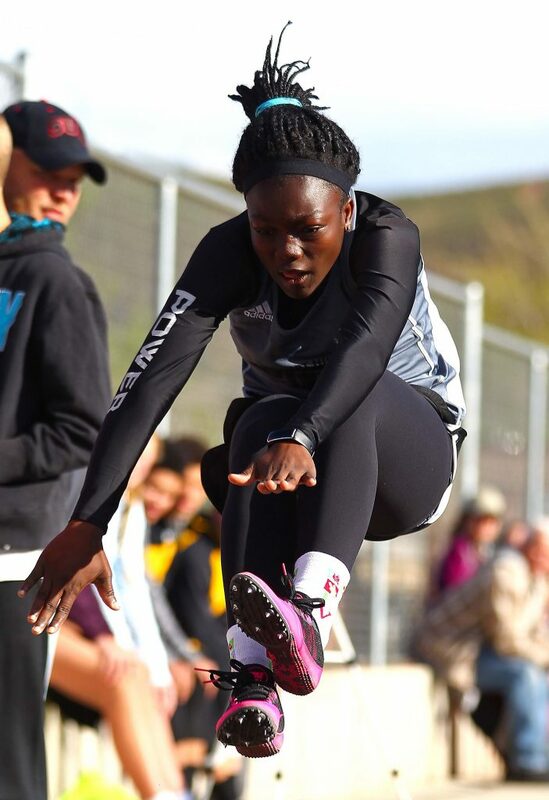 At Utah Valley University, 57 teams competed in another state-qualifying meet at the UVU Invitational at Hal Wing Track and Field Stadium, including a group from Desert Hills High School. 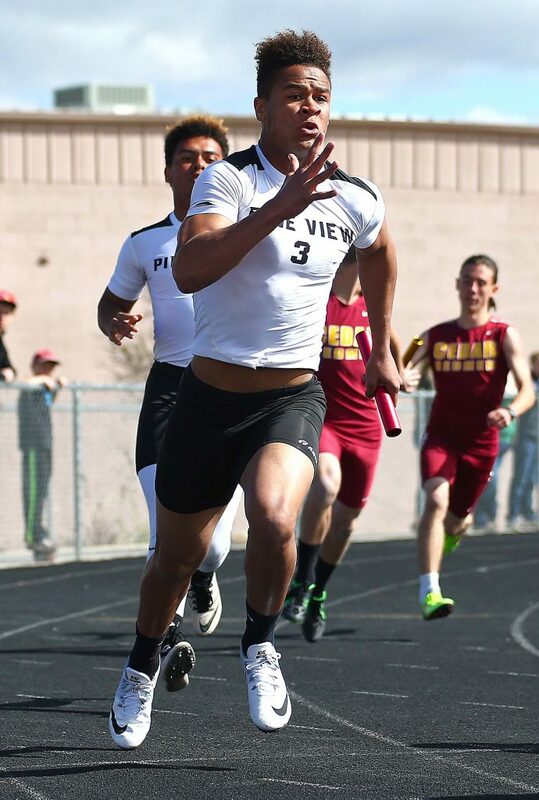 With the bulk of Region 9 favorite Desert Hills up north, it was Cedar and Hurricane that led the way at the Hurricane meet. 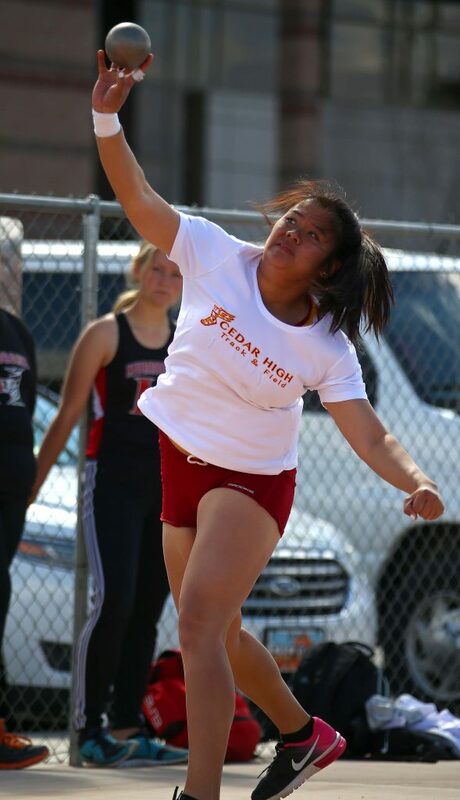 Long-time Cedar coach Bob Corry said the meet was good for the future of the young athletes. 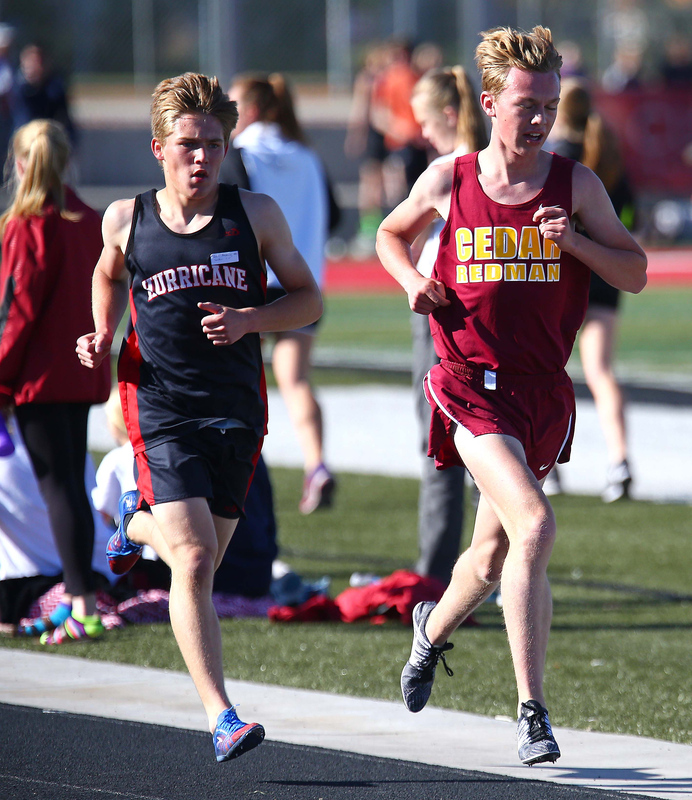 One of those athletes from Cedar that is expected to make some noise at the state meet in Provo in May is Dylan Clements. 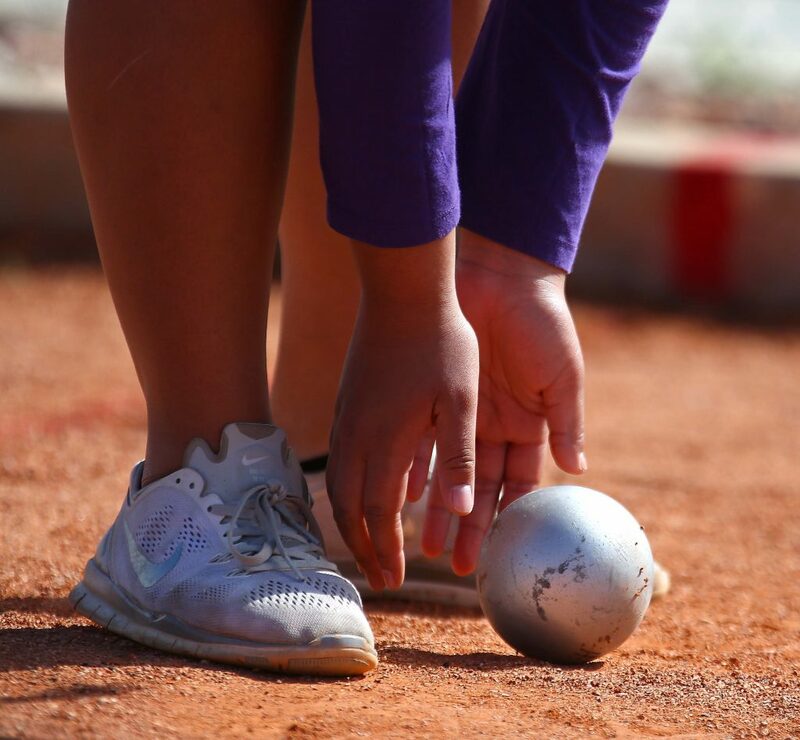 He competed in five events and won gold in the long jump (22-01.5) and the 300-meter hurdles (40.87). 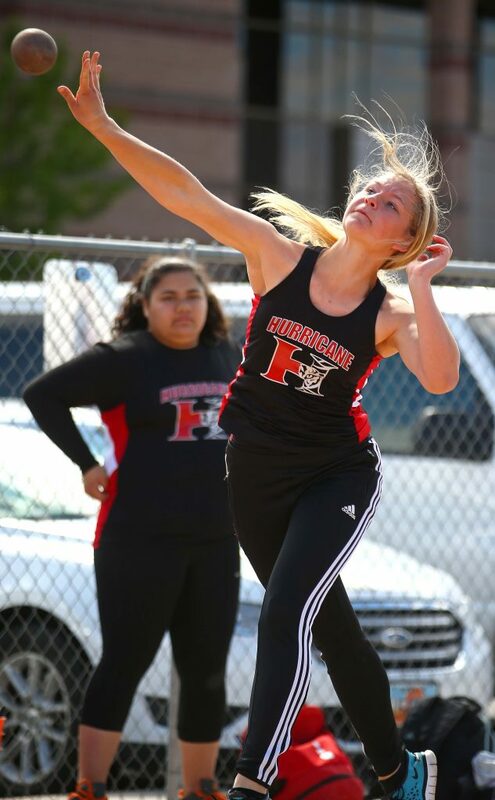 Another standout was Hurricane’s Caleb Armstrong. 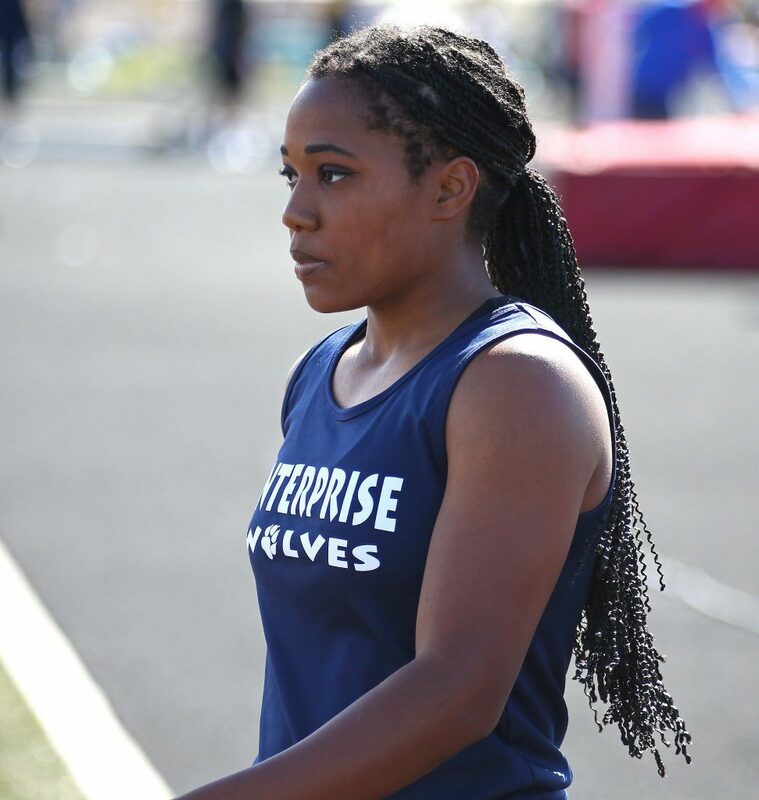 The sophomore, who finished second in the state in his weight class in wrestling, was tired as well after competing in four events. 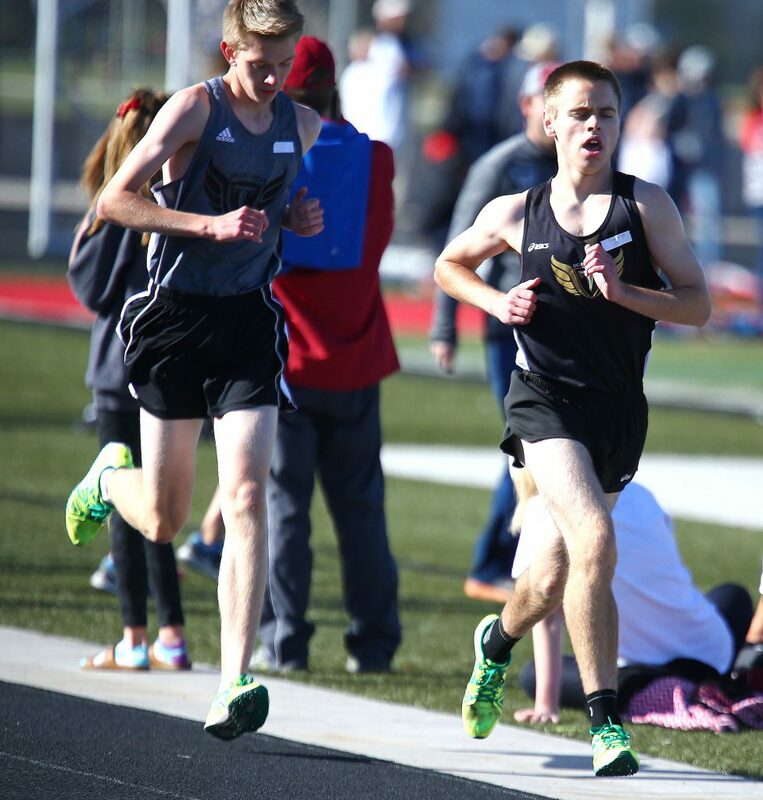 He won the 1600 meters Friday with a time of 4:27.85, helped the Tigers win the medley relay, was second in the 3200 and sprinted to a win in the 800 meters with a time of 1:58.3. 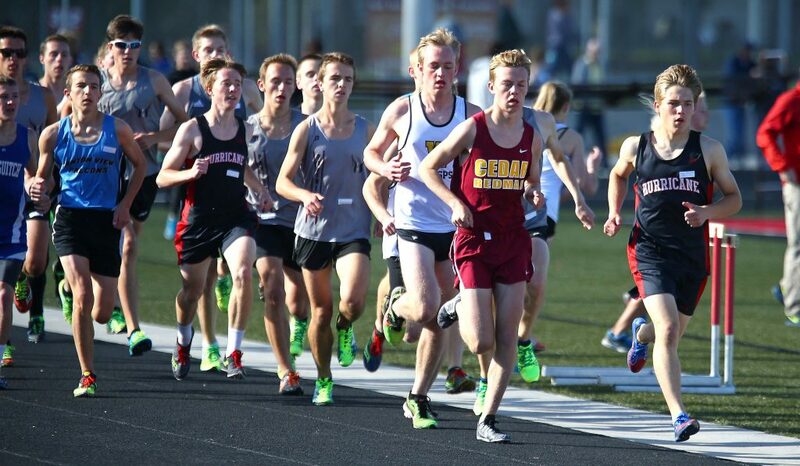 The Tiger boys took the team title at the Hurricane event, with Cedar second, Wasatch third and Pine View fourth. 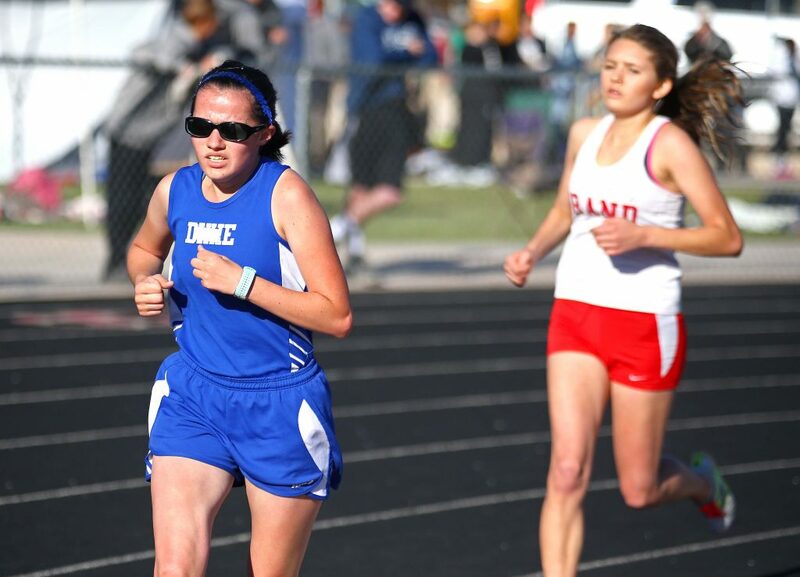 The Cedar girls were first, with Wasatch second, Dixie third and Hurricane fourth. 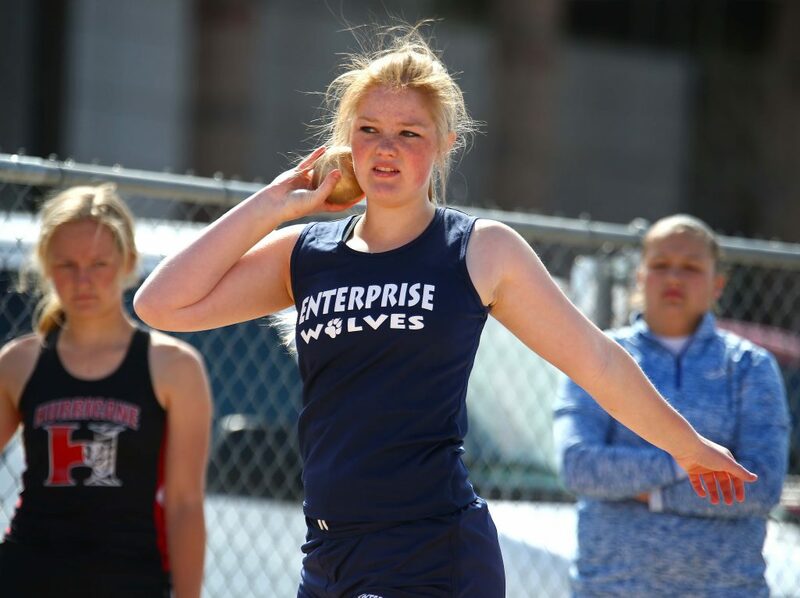 Other winners from the two-day event in Hurricane: Abby West from Wasatch in the girls 1600; Wasatch High in the girls medley relay; Dillan Robertson of Pine View in the boys shot put; Trey Barney of Panguitch in the boys javelin; Kelbie Dayley of Hurricane in the girls discus; Kapri Orton of Panguitch in the girls high jump; Abby West of Wasatch in the girls 3200; Jensen Lambert of Cedar in the boys 3200; Starlee Woodbury of Dixie in the girls 100-hurdles; Bennet Hill of Wasatch in the boys 110-hurdles; jaslyn Gardner of Enterprise in the girls 100; Keivontae Washington of Snow Canyon in the boys 100; Cedar girls in the 4X100; Cedar boys in the 4X100; Emily Barnes of Milford in the girls 400; Seth Dabb of Canyon View in the boys 400; Elizabeth Durrant of Dixie in the girls 300-hurdles; Jasie York of Cedar in the girls 800; Jaslyn Gardner of Enterprise in the girls 200; Keivontae Washington of Snow Canyon in the boys 200; Seth Dabb of Canyon View in the boys high jump; Ella Burrows of Dixie in the girls shot put; Robert Campbell of Hurricane in the boys discus; Linley White of Beaver in the girls javelin; Jaslyn Gardner of Enterprise in the girls long jump; Cedar boys in the 4X400 relay; Cedar girls in the 4X400 relay. 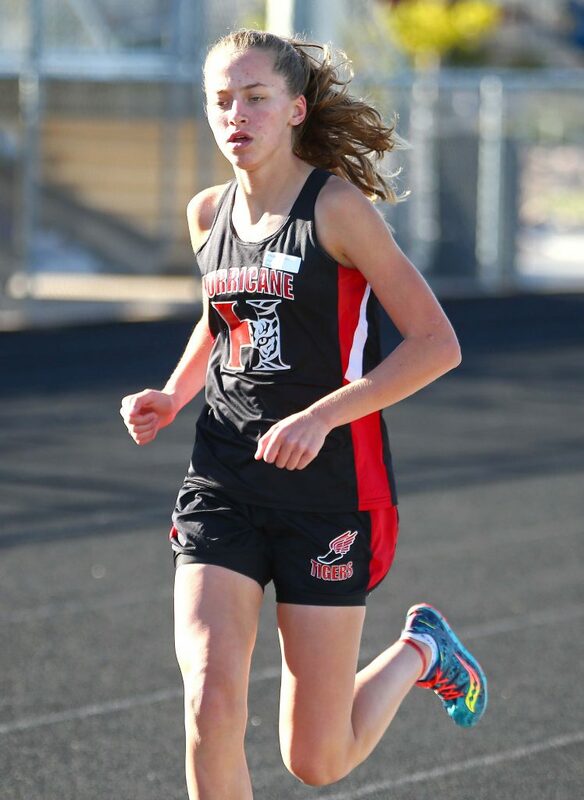 For full results from the Hurricane Valley Rotary Invitational, go to runnercard.com. 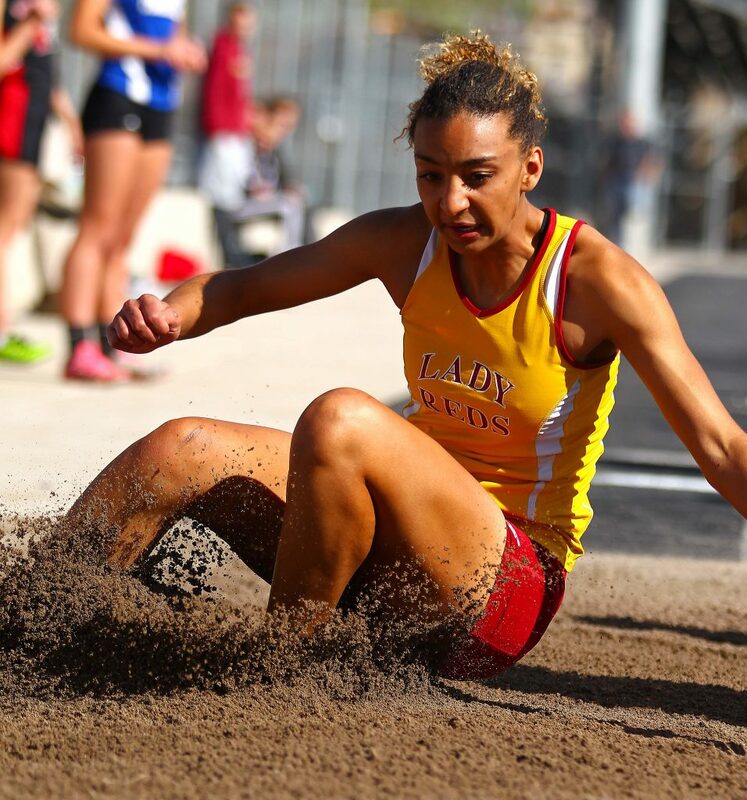 At the Utah Valley Invitational, which featured teams from Utah (many 5A schools were in attendance), Wyoming, Idaho and Nevada, the Thunder were well represented. 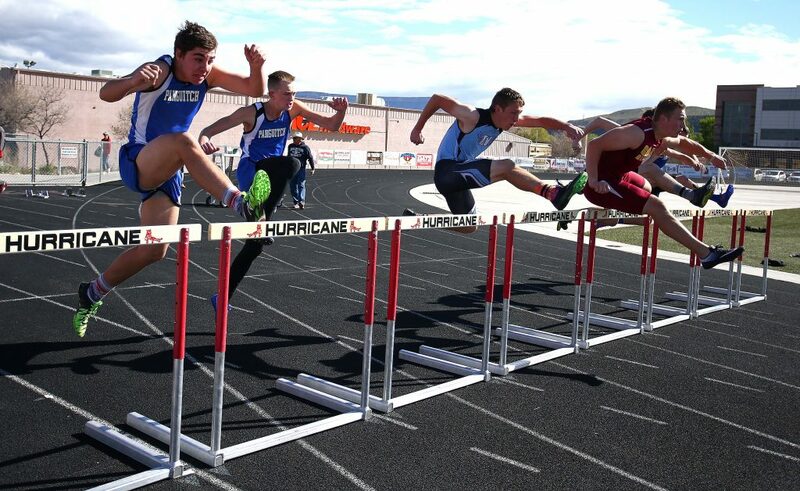 Carter Reynolds placed second in the 110-meter hurdles with a time of 15.00. 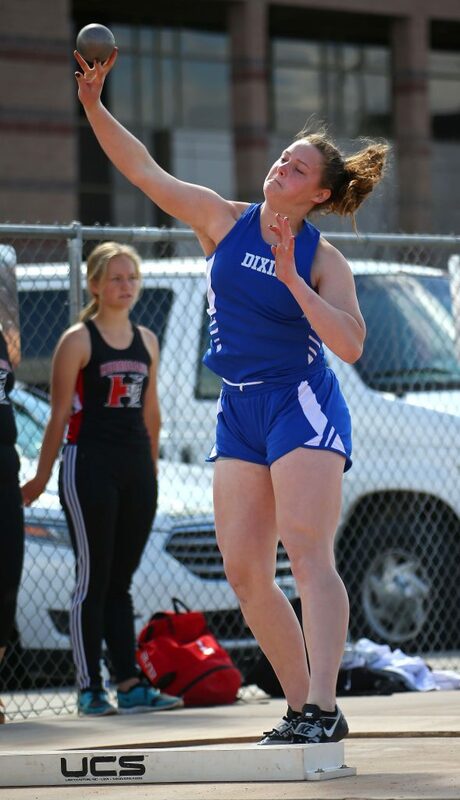 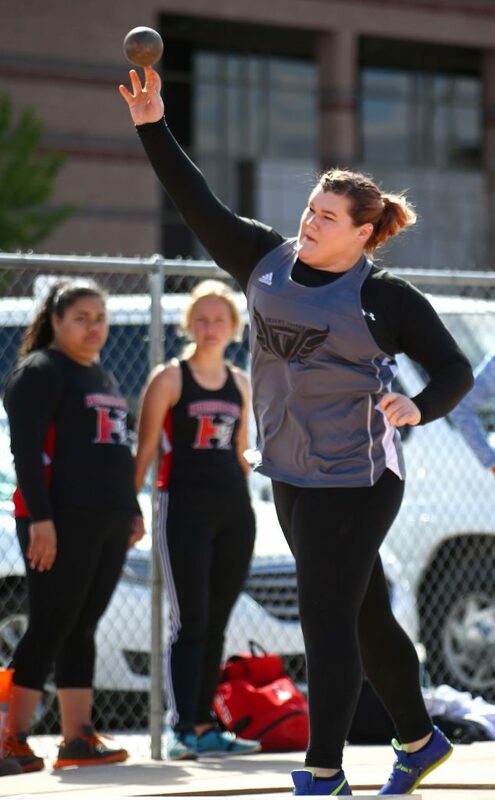 Elly Williams also took second in both of her events, the girls shot put and the girls discus. 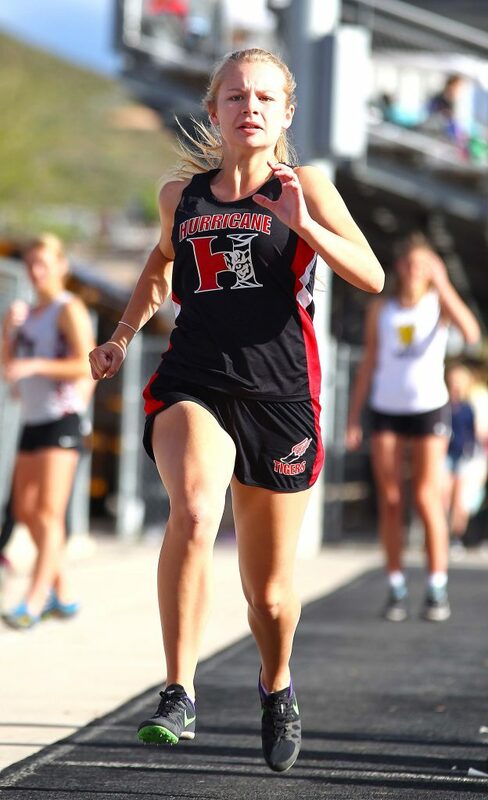 Kaylee Carter was fourth in the girls 100-hurdles and third in the girls 300-hurdles. 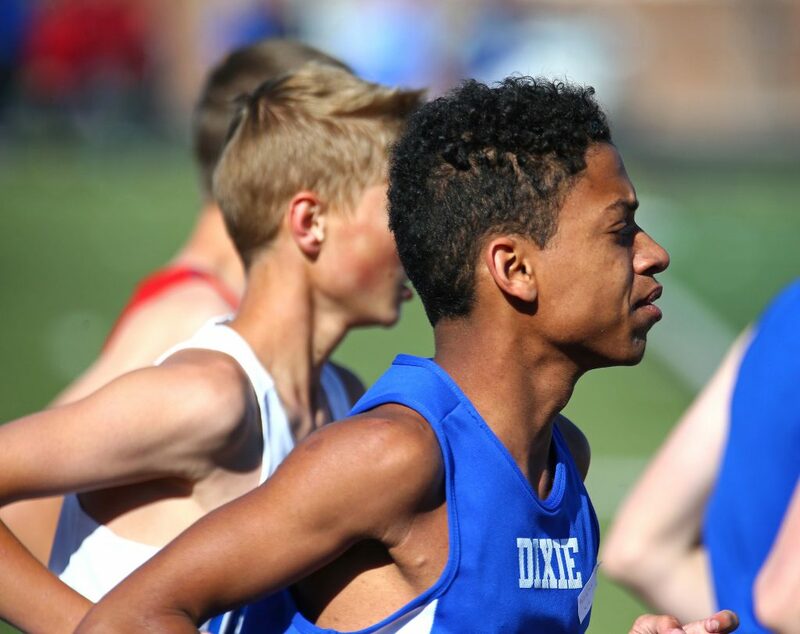 Sophomore Zach Marsden was 13th in the boys 100 among 133 racers. 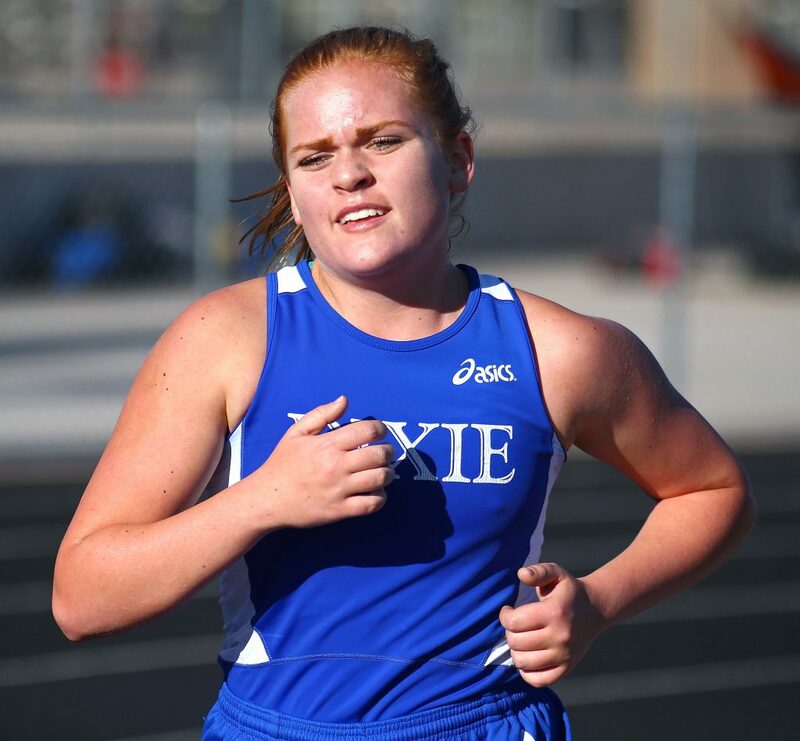 Jessica Bills finished 10th in the 100 meters out of 101 competitors. 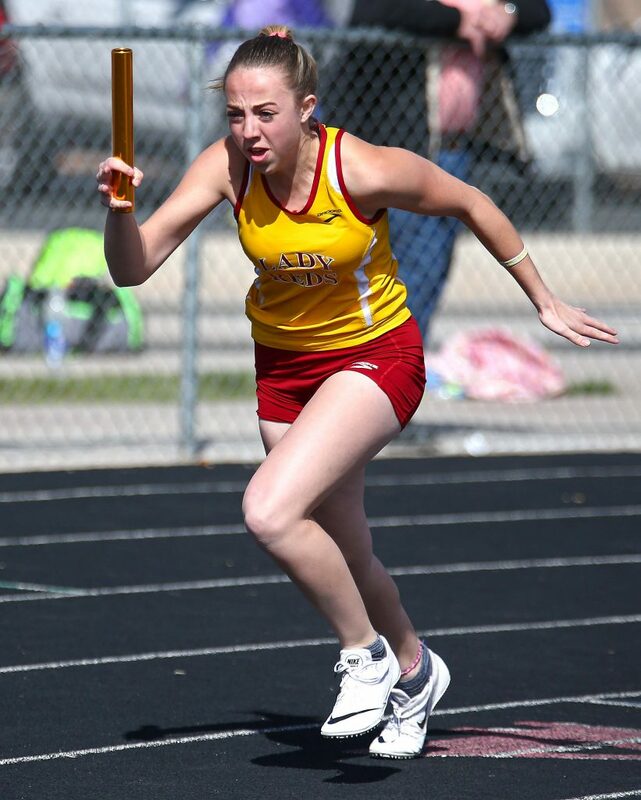 In the girls 4X100 relay, the Thunder finished third and the D-Hills boys placed second. 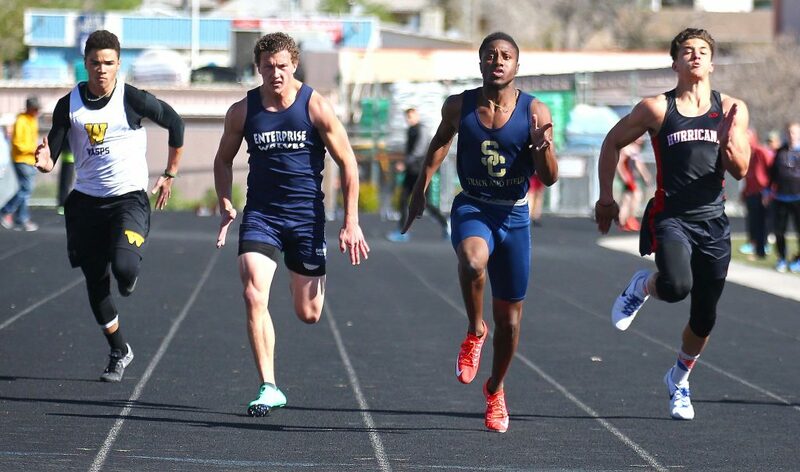 In the boys 400, Riley Swaney was 10th among 77 competitors. 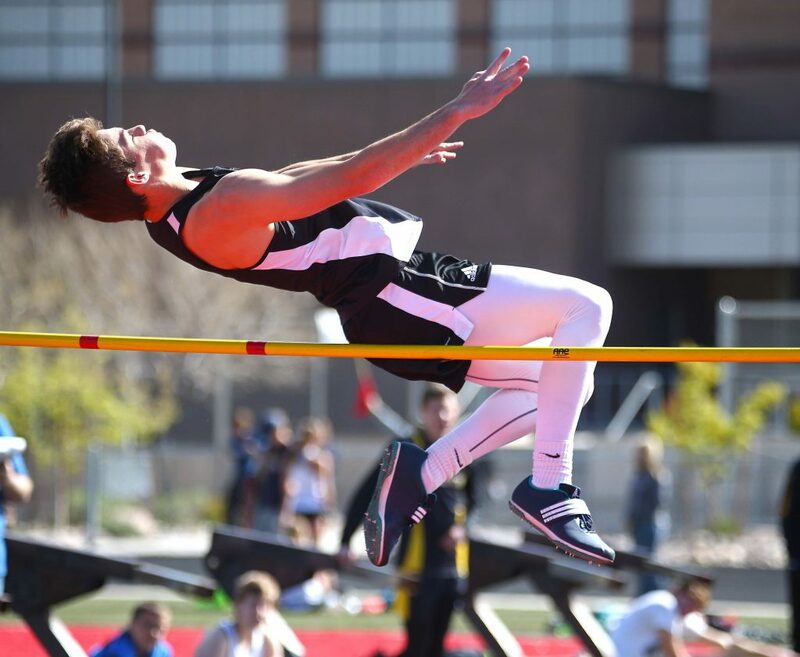 Tyler Marz and Kaden Broadhead went sixth and seventh in the boys high jump. 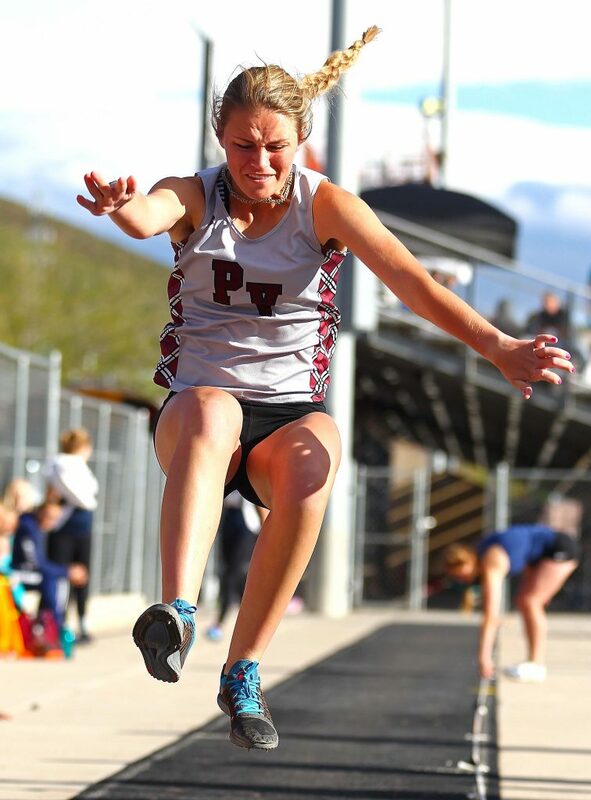 Morgan Myers was eighth in the girls long jump. 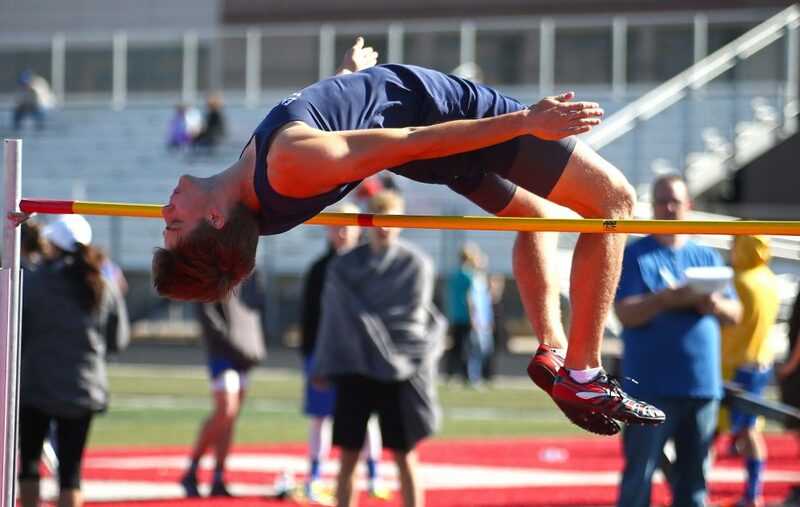 Drew Larkin was ninth in the boys long jump. 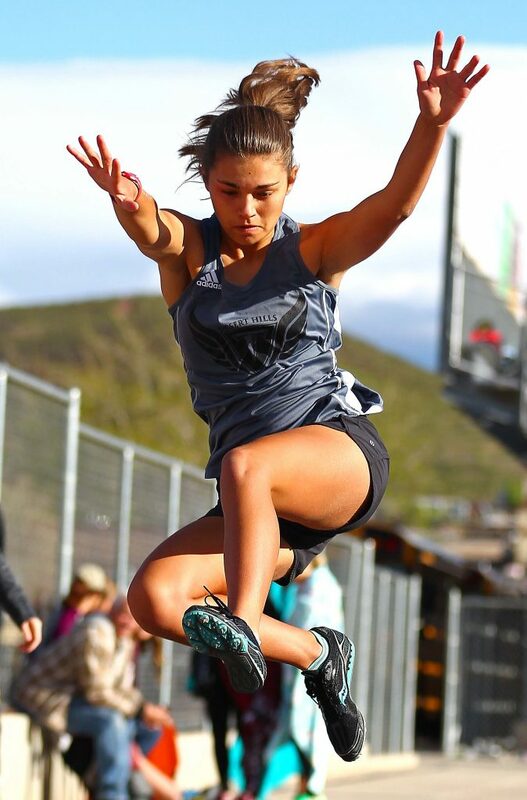 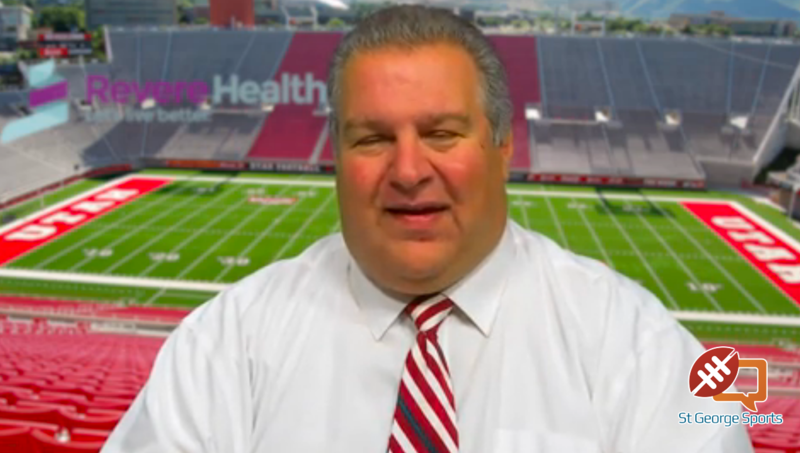 The rest of the results and a complete rundown from the UVU Invitational are on runnercard.com.